I had been waiting to go to the Pioneer Woman's Mercantile for quite a while. It was our Spring Break trip this year, and even though we saw lots and did lots-I still only ended up with one ornament! It was an ornament that we even grabbed on the last stop. 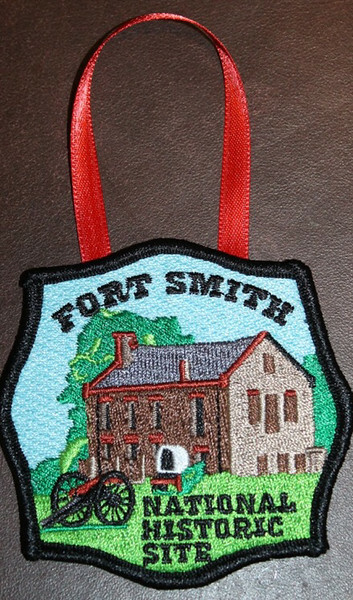 On the way home, we stopped at Fort Smith NHS. We toured the museum which was neat but the walk around the park near the river was really nice. Click here for the post from that day.